The threats in the area surrounding your destinations – is it safe to move around? These are elements that need to be addressed prior to your departure as well as followed-up on when you arrive at your location. Prepare, in advance, how you will travel to your lodging or other destination from the airport. If jet lag is a factor, if you are landing late at night, or if you are traveling to an area with high crime, it is often safer to arrange an airport pick-up from your hotel, your business contacts, or a reputable firm. Ideally, have a contact number for the driver and request they only use a sign with your first name and last initial (avoiding the advertising of your full name). If you are traveling to a high-risk area for crime or kidnapping, adding a code word or other recognition signal ensures that you are “not getting take for a ride” by the wrong driver! If you do not or cannot arrange a pickup, learn what the approved/recommended public transportation modes are available. In most airports, there are ‘Official” taxi-cab services – use these to avoid a “gypsy” cab or other risky transport. Research, prior to traveling, the local customs on taxis services: meter vs agreed upon fare, tipping, etc. Know which are the “official” taxis versus the unregulated taxis. Most genuine licensed taxi drivers’ vehicles are equipped with a meter (for determining the charge) and in most countries, the taxi driver is required to carry and display their ID badge in the vehicle. If you don’t see a license or other driver information, you probably do not want to get into the vehicle. 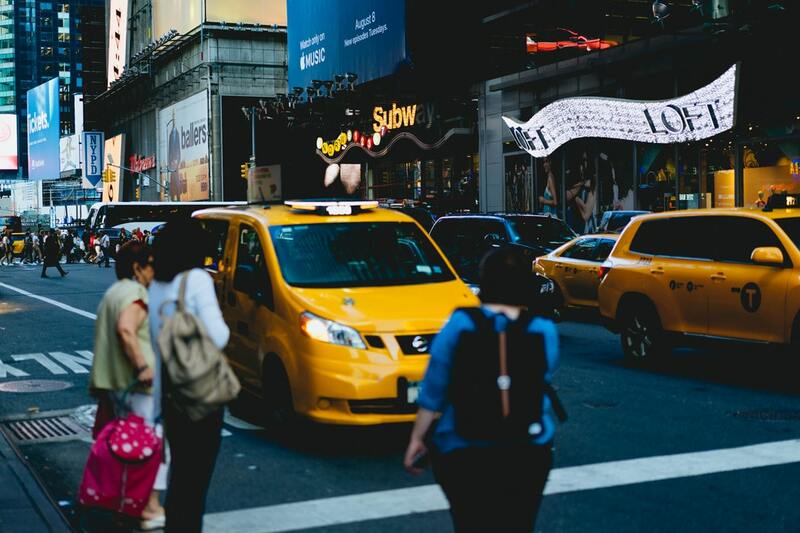 Choose a pickup point: for added security use a taxi stand or arrange for a pickup at your hotel or at a restaurant where personnel will document the taxi number, license plate, and driver information. Some hotels provide taxi services, while very secure, are often the most expensive. Have local money ready (to include small bills, they may not have change. The most common rip-off is the “I don’t have small change” line). Know how do they negotiate a fare, when is it best to walk away or just pay the price (when it is raining cats and dogs – may be better to pay more to stay dry). Pre-program the local emergency number into your cell phone (the “911” number) and be prepared to use it if you sense a problem. Have the local currency ready, to include small bills, as the driver may not have change. The most common taxi rip-off is the “I don’t have small change” line. Avoid traveling alone, if possible, especially at night. If you add being intoxicated you are even more vulnerable. Travel in pairs, if possible. If necessary, call someone to come and get you. Make a call to a friend letting them know where you are, where you are going, in what taxi (taxi company, taxi number, taxi driver’s license info, etc.). If the taxi is a wreck, taken another one. Door handles, window controls, and door locks should work. Never get in a taxi that has an occupant (in either the front passenger or rear seats) and do not allow any extra passengers – if the taxi driver tries to let someone else in – you get out! Test door locks – while the door is still open and you have not gotten in yet (prevents you from being trapped inside via the child-safety lock). Keep doors locked and windows up, and wear a seat belt (if there is one available). Sit in the back seat (not up with the driver), behind the driver vs diagonally from the driver. Know where you’re going ahead of time and approximately how long it will take to get there. With smartphones, you can map the most likely route and track your movements). But be realistic about your knowledge of the area. If the driver decides to go a different route which is mostly in the direction you want to go they may just know the city and its traffic patterns better than Google Maps or Waze! While the taxi driver may know a better route or one that avoids toll booths, etc., if you feel they are headed the wrong way entirely, get out at the first opportunity. If for any reason, you decide to bail out of the vehicle, throw the driver some money and they will let you go without much of a fight. Keep control of your belongings and avoid exposing your valuables. Operate on the “never tempt them” theory! Keep your smartphone handy, but don’t be on it! Stay awake and alert at all times. Keep your situational awareness so that you can anticipate any problems. Pre-program the local emergency number into your cell phone and be prepared to use it if you sense a problem. While taxi drivers usually are very helpful, be aware that not all of them are acting in your best interest. A recommendation followed by an immediate, “I will take you there” most likely means that there is some monetary interest. Merchants often kickback money to taxis that deliver tourists. In some countries, the common merchants are selling jewelry, clothing, rugs, or knock-off fashion. Unless you get credible recommendations, it is best not to patronize locations that work with the taxis. As with all your personal information, be wary of what you tell the locals. Be generic, avoiding giving any specifics unless there is a clear reason to provide the facts. These are some general precautions that can be applied to any form of public transportation whether it is a taxi cab or an App based service. Incorporate these safety routines into your travel habits and they will be like a program running in the background while you spend your conscious time enjoying your trip.